In the paper the parameter identification problem for the discrete, fractional order, transfer function is presented. The considered discrete transfer function contains integer order and non integer order parts. 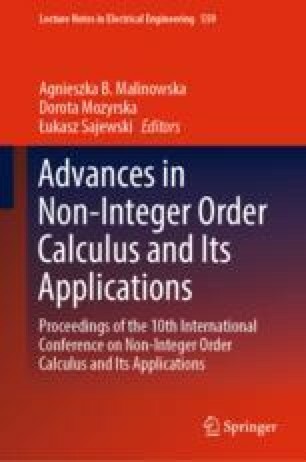 The non integer order part is described by the discrete version of Charef transfer function. Identification has been done by a hybrid PSO-simplex minimization of the MSE cost function. Tests were done with the use of an experimental heat plant. Results of experiments show that the proposed combined method assures the better accuracy in the sense of MSE than the “pure” PSO or “pure” simplex method, but its duration is relatively long. This paper was sponsored partially by AGH UST grant no 11.11.120.815 and 15.11.120.741.